A team and wagon pose with four bonnets at Ricksecker Point on the road to Paradise. The point was named for Eugene Ricksecker, the engineer who surveyed the road in 1903. 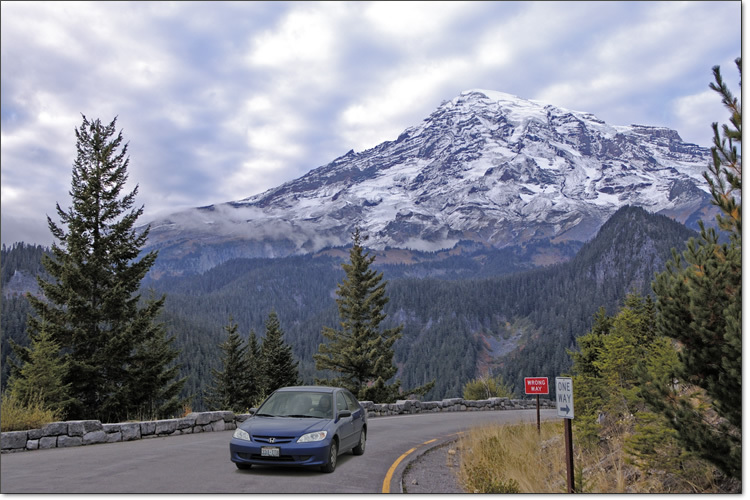 At an elevation of 4,214 feet, this prospect on the south side of Mount Rainier is 10,197 feet below the summit, which gained a foot in 1988 when the mountain was measured by satellite at 14,411 feet. 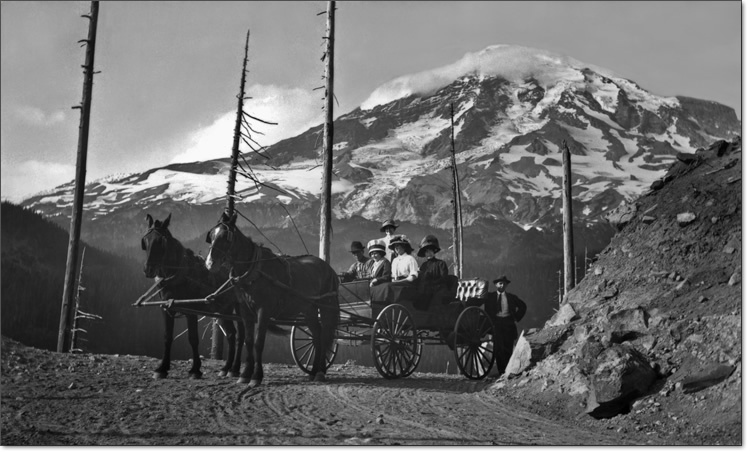 Scenic Mount Rainier has always been a popular photographic backdrop. At left, dancers from the Mary Ann Well School in Tacoma prance around a new sedan in 1931.